Welcome to Day 2 of the Handmade Holidays Gift Guide, a week long guide to handmade gifts for everyone in your family! There will be a post each day with a different category for you to shop. I will highlight numerous shops and you will be rewarded with a limited time discount code for each one! It's a win-win situation here, people! Hardworking entrepreneurs will get some wonderful exposure and you will get your Christmas shopping done early! Black Friday, Schmlack Friday! There will also be a surprise at the end, so stay tuned. YOU WON'T WANT TO MISS IT! Some of my biggest impulse buys are for the home. There is just something special about getting something that will instantly make your home feel "more you" and cozy. Sometimes freshening up the home with some new diddies makes the biggest difference in the feel of the room, especially when seasons change. On today's Gift Guide post, we're focusing on items you can display in your home. NS Pottery is another shop that I love to peruse on a weekly basis. I have a special place in my heart for items that are functional and pretty at the same time! 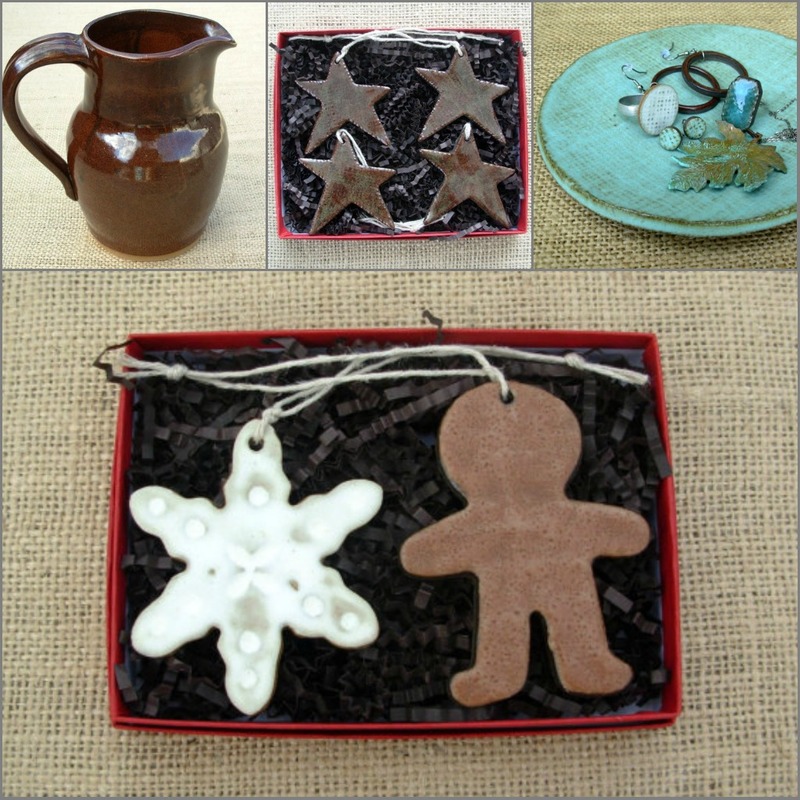 She has some amazing new ornaments in your shop that you HAVE to put on your tree! Natalie's shop is full of perfect items to gift. 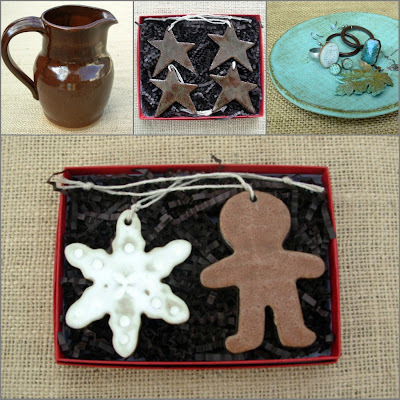 Shop NS Pottery HERE & use code HANDMADE2011 for 20% off your purchase! Aisle to Aloha is a shop that is run by Lindsay, who has become a dear friend of mine. She paints gorgeous paintings that are colorful and vibrant. 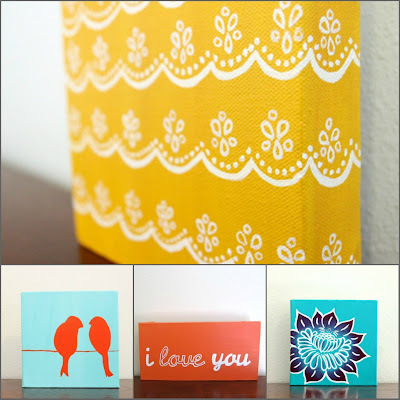 I have no doubt that any of Lindsay's paintings will instantly make your home a happier place. 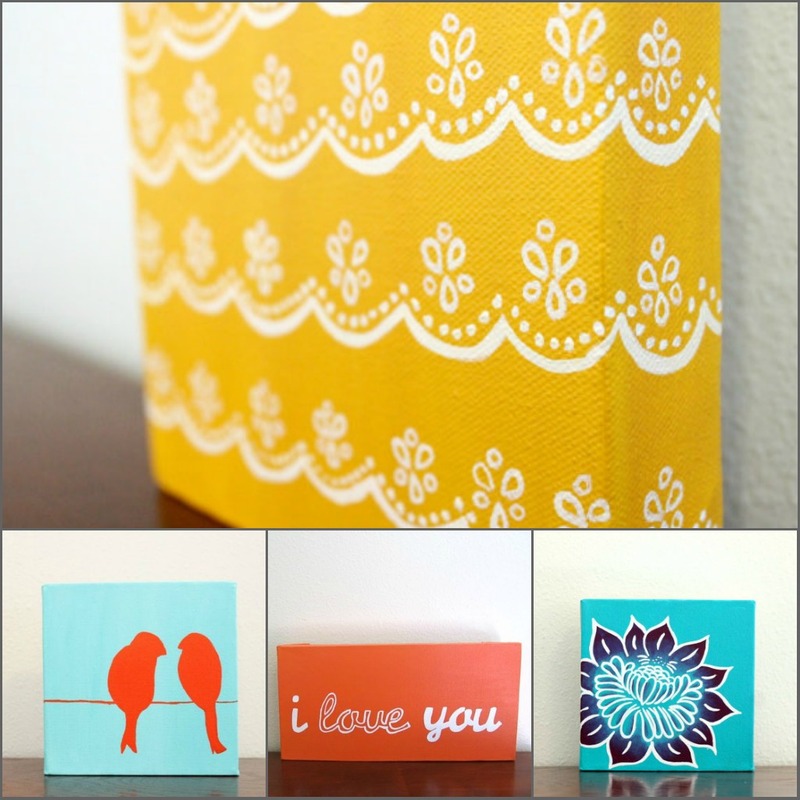 Shop Aisle to Aloha Studio HERE & use code MERRY15 for 15% off your purchase! Lil Noodle Bug is a sweet little etsy shop that sells beautiful things made out of felt. Felt makes everything look so cozy! 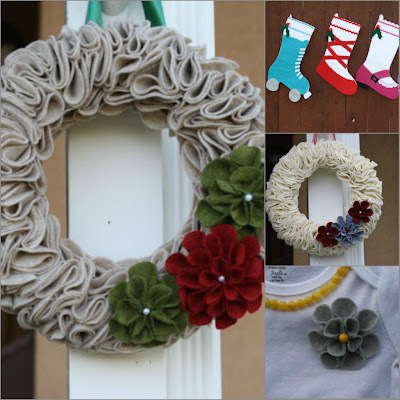 I love her fun stockings (especially the roller skate) and I know that any woman would love one of those gorgeous wreaths on her front door! Shop Lil Noodle Bug HERE & use code BLOGGIVEAWAY for 10% off your purchase! A Vintage Bambino is a shop that gives old things new life. 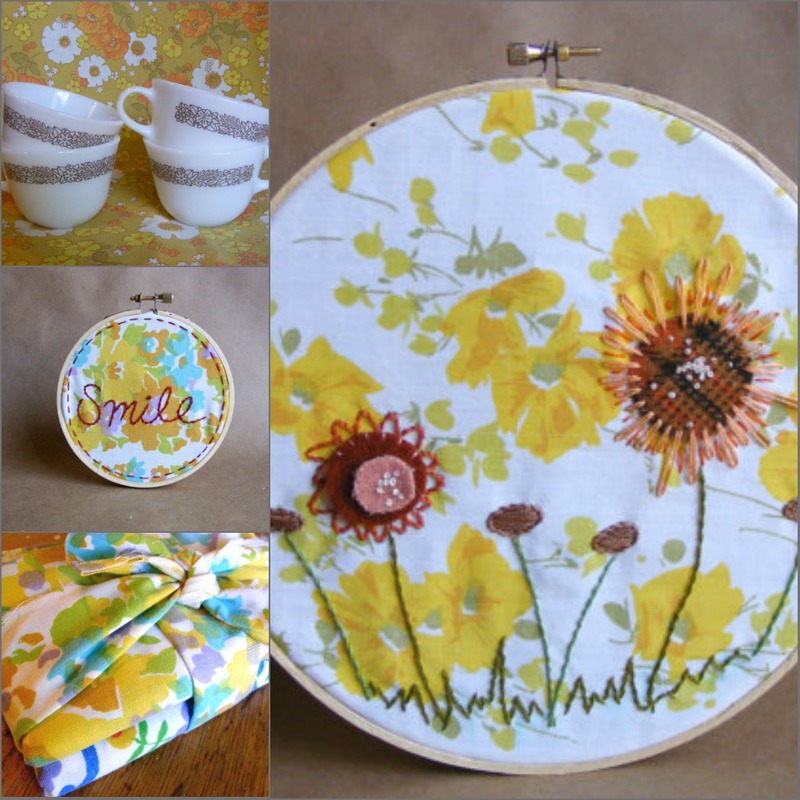 Arianna takes vintage sheets and ordinary embroidery hoops and turns them into funky one.of.a.kind wall art. You can find vintage pyrex, fat quarters of unique vintage sheet patterns, and fun hoop art in her shop! Shop A Vintage Bambino HERE & use code OHSWEETJOY for 20% off your purchase! Everything that Nicole makes for Handmade Colectibles in simply stunning. Her color combinations are beautifully handpicked, her roses carefully created, and I just love all the detail that goes into each bouquet! Want some flowers that won't rot on your table during a busy week? Nicole has you covered in pretty much any color combination you could dream up. BEAUTIFUL! 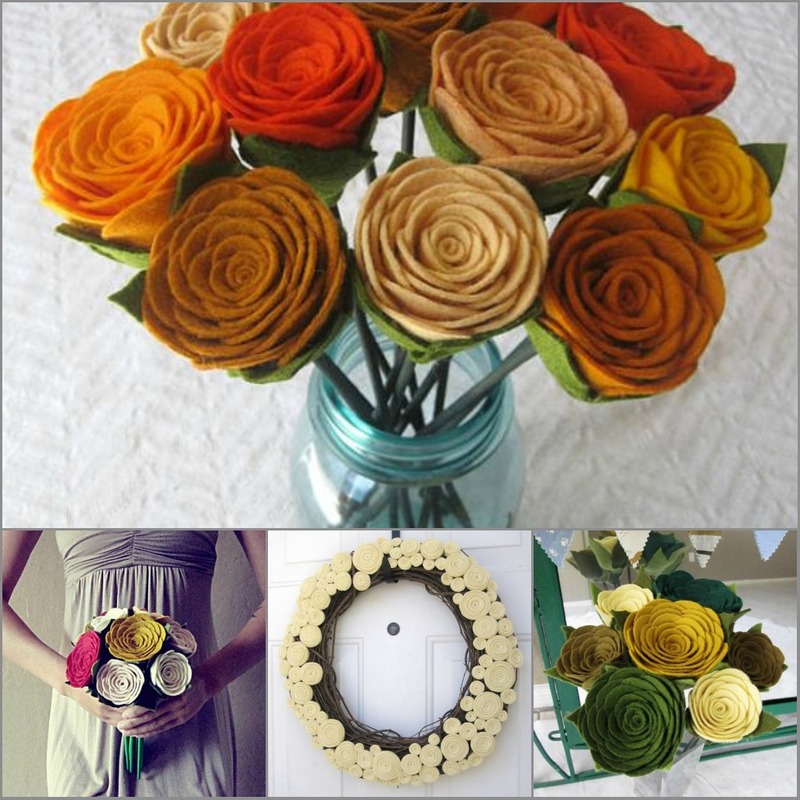 Shop Handmade Colectibles HERE & use code HANDMADEHOLIDAY10 for 10% off your purchase! What amazing shops-I particularly adore the Vintage Bambino!